Gena treats all adult gastrointestinal disorders, with a special interest in the prevention of colon cancer and the treatment of inflammatory bowel disease. Most recently, she has pursued an interest in the gastroenterological issues associated with bariatric surgery. Gena takes pride in being a strong advocate for her patients, spending extra time with them to ensure that they are well informed and to make them feel comfortable discussing any subject. While in medical school, Gena decided to specialize in gastroenterology because of her awareness of the discomfort that GI issues bring about. That empathy has led Gena to commit to sharing her expertise with others, and she regularly gives community based lectures on colon cancer awareness and inflammatory bowel disease, including Crohn’s disease and ulcerative colitis. Gena believes in top-notch preventive care, to help her patients live long, healthy and productive lives. 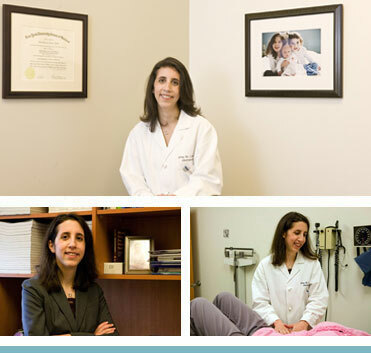 Listed in Best Doctors in Connecticut Magazine, 2009. Gena enjoys spending free time with her family, including her three wonderful daughters. She tries to leave her work at the office, which means her husband is often on diaper duty!